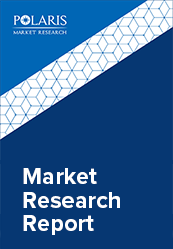 The global wearable sensors market was valued at USD 252 million in 2017 and is anticipated to grow at a CAGR of 37.4% during the forecast period. Wearable sensors are devices developed for sensing altitude, temperature, humidity, dive depth, location, intensity, and motion, and converting it into an analog electric signal. Wearable sensors are used in varied devices such as altimeter watch, multi-mode watch, diving watch, fitness band, ski goggles, martial arts vest, and sleep monitoring devices among others. The healthcare industry uses wearable sensors for devices such as asthma stickers, back braces, knee braces, patches, and contact lenses among others. The growing demand of wearable sensors from consumer and healthcare sectors, and rising adoption of MEMS technology primarily drive the wearable sensors market. Technological advancements, and growth of the telecommunication industry boosts the adoption of wearable sensors. The miniaturization of sensors, increasing healthcare costs, and growing geriatric population boosts the adoption of wearable sensors worldwide. 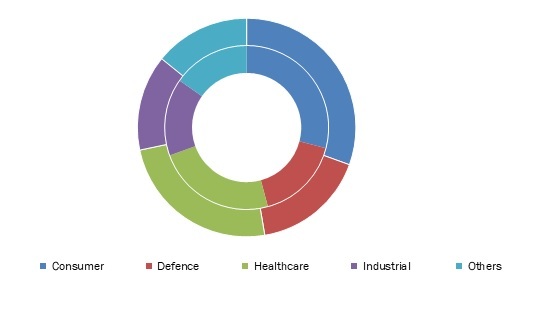 The increasing health awareness among consumers, and wide scale adoption of IoT and remote connectivity are factors expected to provide growth opportunities for wearable sensors market during the forecast period. The growing technological advancements, and increasing applications of health sensors would drive the market growth during the forecast period. The global wearable sensors market is segmented on the basis of type, technology, application, end-user, and geography. Based on the type, the market is segmented into Motion Sensors, Gyroscopes, Accelerometers, Pressure and Force Sensors, Touch Sensors, Inertial Sensors, Magnetometers, Temperature and Humidity, Medical-based, and others. The accelerometer is expected to grow at a significant rate during the forecast period owing to increasing demand for fitness bands, and growing health awareness among consumers. The technology segment is categorized into MEMS, CMOS, Others. The application segment is divided into Smart Watch, Smart Fabric, Smart Glasses, Fitness band, Smart Footwear, and others. The fitness band segment dominated the global market in 2017 owing to increasing demand for fitness devices, and technological advancements. The end-users in the global wearable sensors market include Consumer, Healthcare, Industrial, Defense, and others. The consumer sector dominated the global wearable sensors market in 2017 owing to rising disposable income, improving living standards, growing demand from emerging economies. This report comprises a detailed geographic distribution of the market across North America, Europe, Asia-Pacific, Latin America, and MEA. North America is further segmented into U.S., Canada, and Mexico. Europe is divided into Germany, UK, Italy, France, and Rest of Europe. Asia-Pacific is bifurcated into China, India, Japan, and Rest of Asia-Pacific. North America dominated the global wearable sensors market in 2017 owing to the established healthcare sector, and growing demand for consumer electronics. The rising adoption of IoT, and technological advancements support the market growth in this region. The vendors in the market are launching new products to meet the growing customer needs. In addition, the leaders in the market are acquiring and collaborating with top companies in the market to enhance their offerings in the market and expand their customer base. The wearable sensors market is highly competitive with the presence of a large number of small and large vendors. The leading players in the wearable sensors market include Infineon Technologies AG, Texas Instruments Inc., Broadcom Limited, Asahi Kasei Microdevices Corporation, NXP Semiconductors N.V., Robert Bosch GmbH, Invensense, Inc., TE Connectivity Ltd., Knowles Electronics, LLC, and Panasonic Corporation.